This blog is especially for people who wants to be a Successful Motivational Speaker / Life Coach or public speaker. Many people asked me during my live sessions and through my app that how can they also be a successful motivational speaker like me? Yes, there are many motivational speakers out there. But if you are not successful, then how can you teach someone to become a successful motivational speaker? So in this blog, you will learn my top 3 secrets for becoming a motivational speaker (this comes directly from my heart from my experience of 12 years). The majority of the trainer or motivational speakers try to speak on many subjects trying to cover as many subjects as possible. But here I want to tell you that this is the time where you have to show your “SK (Special Knowledge)”, not “GK (General Knowledge)”. For example, a surgeon gets a lot more fees for visit compare to general practitioner’s visit. So “success secret” is that you decide any 1 particular subject or topic which is near to your heart. Do not decide your subject or topic based on other trainer’s success, or so a copy should be not the purpose. When you will explain your subject direct dilse (from the heart) it will have an awesome impact on audience’s, heart. Decide your subject and start working on it. 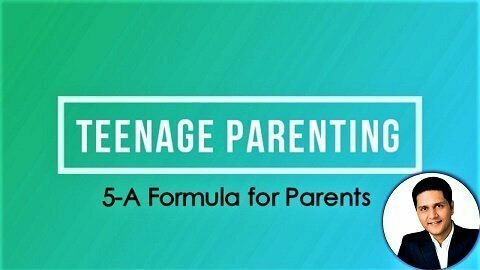 In my case when I came to training industry 12 years back, no one in India had thought about training on parenting. But today I am a No.1 trainer on Parenting and Student Motivation because the subject was near to my heart. So establish yourself in the industry as a specialist, not as any other common speaker. During my journey of 12 years I have seen many trainers failing and disappearing, many not reaching the level they should reach in enough time just because they did not know any proper path for success in the training industry. One of the reasons for the failure is, many trainers do not write a book related to their subject. The book helps you to show your authenticity to your client. For example, think of a scenario where you need to arrange a motivational seminar for your own company. So you meet 2 motivational speakers. The first speaker gives you his visiting card after meeting and the second speaker gives you his book. So whom will you select for your seminar? So if you want to write a book on your subject and want to make it a bestseller, then you should attend my “Train The Trainer Workshop”, in this workshop, I will teach you secrets for writing a book on your topic. It is the most personalized workshop I have ever provided. To increase your business as a Motivational Trainer / Speaker or Life Coach you need to apply latest marketing strategies. Most of the trainers work day and night to book 2-3 seminars in a month. On the other side, I deliver 3-4 seminars per week. Meanwhile, When any event organizers call my company for organizing any motivational speech, my team first have to check my availability for that seminar date. This happens to me because I have applied and tested all marketing strategies. One of them is delivering your content to your target audience. 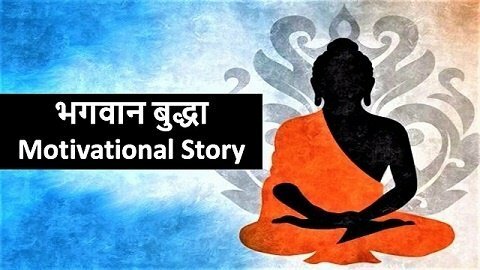 This content can be in form of book, video or audio. But first, you need to decide your audience as per your business requirement. For example, The advt. of Mercedes or Rolls Royce you never watch on TV. As they know their customer very well & they will market their product accordingly ! So to learn latest and tested marketing strategies join me in my Train The Trainer workshop from 19th August to 25th August 2018. In the end, I just want to tell you that I have spent 12 years to reach 1.2 million people and transform their lives successfully, by using my experience you can achieve the same success in much lesser time. So get trained by the best and start to train best. 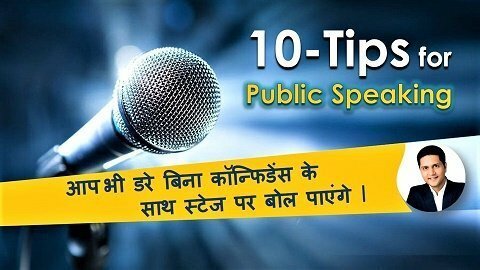 Sir I want to become a successful motivational speaker. Can u suggest me any courses for this? hi sir! Awesome content , thanks for help but there is a doubt like i am student and want to make my career in motivational speaking , where and how should i start ? DO i have to join speaking institutes or is there any specific course!? Such an amazing article on how to become motivational speakers. 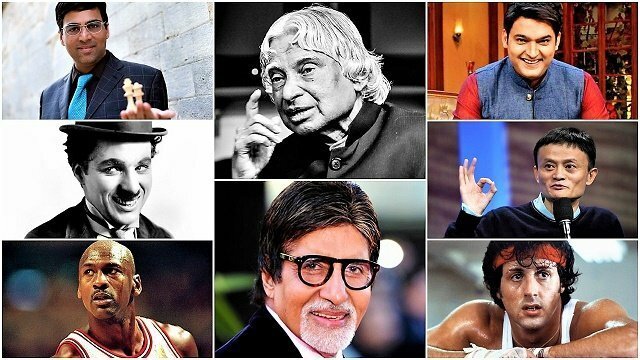 wonderful Information shared on how to become motivational speakers in india. I got inspired after reading this article and found my way of achieving my goals in life. 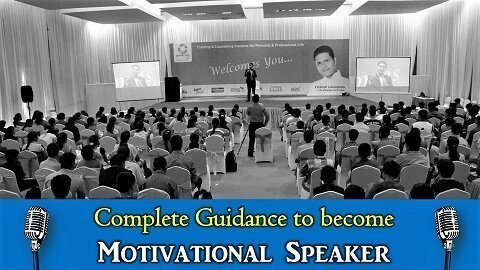 Very nice article on becoming the motivational speaker in India. Motivational actually helps to achieve your goals in life. After attending any fruitful workshop people get very motivated. Keep Sharing more such articles.